Normally these guys run away when you approach them, but for some reason this one stayed put. 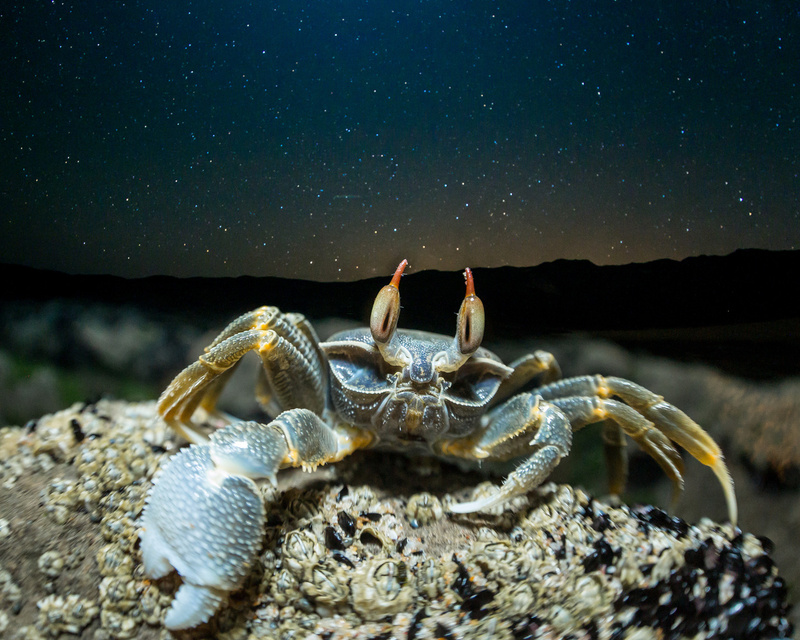 I set up my tripod and used a flash to illuminate the crab, after which I quickly pulled focus to infinity to to expose for the stars for the remainder of the 30 second exposure. Great job! Composition, Capture, pulling focus, using flash to pull it off in one exposure... Really world class!